NOTE: I am in the process of working to integrate all existing research on to this page –it’s gonna take a while! The product that started it all — the blog, that is: Vintage steel kitchen cabinets. I wanted to renovate my kitchen. 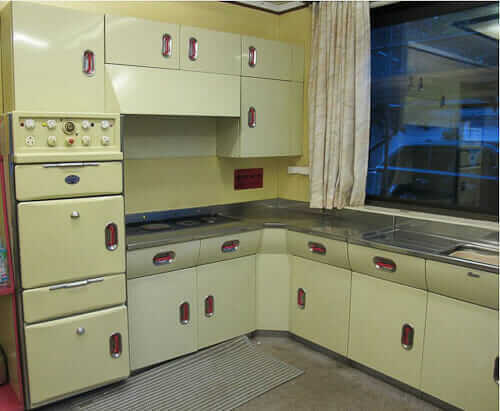 Vintage steel kitchen cabinets entered my consciousness. I went on a five-year quest to find a set. 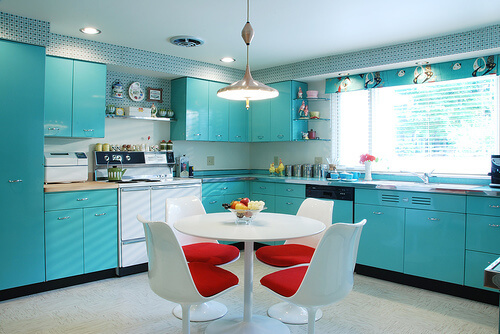 Along the way I also obsessively researched how to put a 1950s-1960s kitchen together. When I was all done, it turned out so well that I started the blog to share what I had learned. 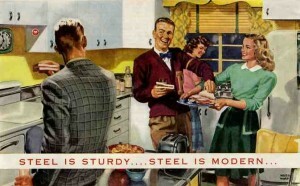 In my cabinet-quest, I already had identified many brands of steel kitchen cabinets made back in the day. And in the years since — very often with the help of readers — we have identified a total of 80+ different brands of metal kitchen cabinets built before, during but most after World War II — mostly steel, mostly in the U.S.
8O+ brands of metal kitchen cabinets — pretty amazing, huh! “Standard” was the original or earlier name of the company (perhaps Standard merged with American? I don’t know the history). See this 1938 catalog of Standard kitchen cabinets — in colors! 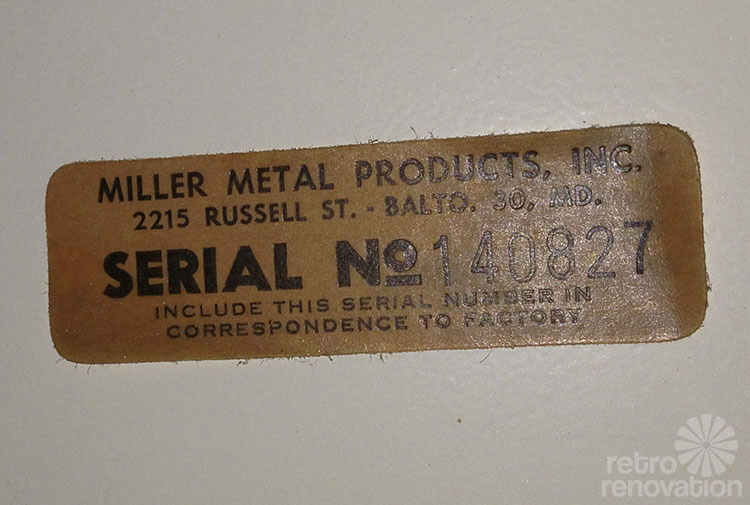 Made by Miller Metal Product, Baltimore. Yellow set here. 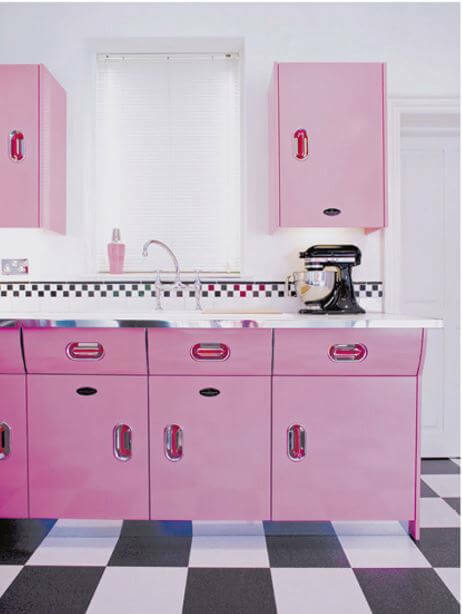 See my Berger Steel Cabinets for Kitchens catalog from 1949. This company was owned by Republic Steel. Berger steel kitchen cabinets may subsequently have been subsumed by Republic Steel Kitchen cabinets. Note: In my compendium, I do not include companies that seemed only to have made single-unit items. That is, some companies made steel hoosier cabinets… some made only a sink base with sink… and companies like Dwyer made apartment kitchen combos. I don’t include these — I want to focus on companies that made complete kitchens with lots of mix-and-match models that you could order in bulk to fill out a typical family fitted kitchen. In this sense, I should probably not include Lustron on the big list above, as it was bespoke only for Lustron houses; I may take out of the list at some point — or perhaps make and put it into a supplementary list along with the other such units described in this section; pondering. BE SAFE / RENOVATE SAFE — get informed when using vintage products. Another company — Toro Kitchen Cabinets — has entered the market, putting powder-coated steel doors onto wood cabinets. Ondrea and James’ English Rose kitchen: Two sets refurbished into one joyful remodel! Have harrison metal cabinets in our kitchen. Need to replace the base cabinet with the stove top in it. Need advice on how to remove it. Cabinet are yellow..any collector interested in it once we take it out?? Hi Laura J, we’ve identified 80+ brands of steel kitchen cabinets so don’t have all the details on how to install or un-install them. You might look for an old catalog and see if it has instructions (google to search for a catalog.) Also note, no buying/selling here on the blog or it becomes chaos. Pam, check out this restored 1930’s luxury apartment in Antwerp, Belgium with Crosley metal kitchen cabinets. Guess they supplied Europe, too. Yes, I have long meant to do more research on this — “American” brand steel cabinets were sold in Belgium! Hello I have a 1949 Youngstown metal kitchen cabinet. I was told it is one of the rare pieces. 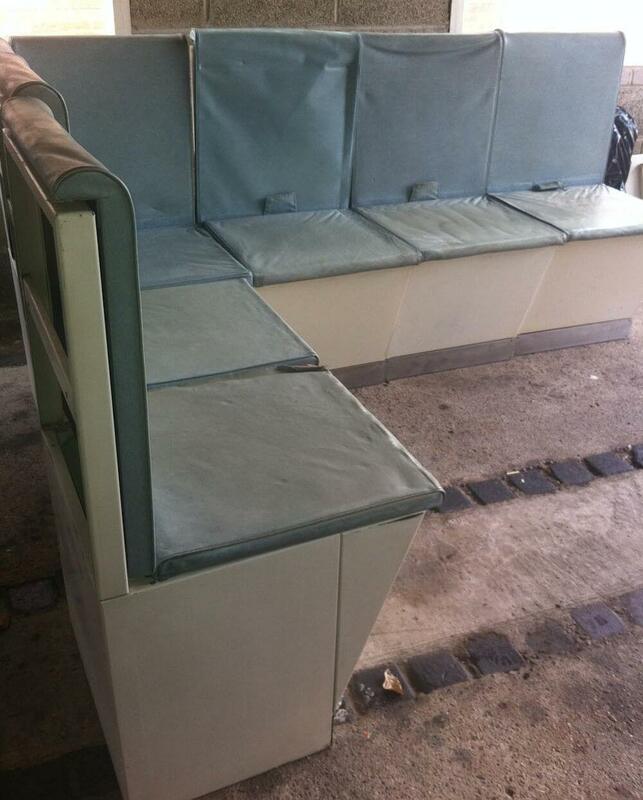 Can anyone help me to find out more info on it Please ? I have hit a dead end! Thanks ! Hi Melanie, use the search box and type in Youngstown. We have lots of stories to check.